Awqaf organised its annual innovation meeting for Imams and Muezzins across the UAE under the motto “Mosque Imams and time: Challenges and opportunities”. Topics on discussion during the meeting highlighted the need for making best use of time in a way to reflect positively in self-development, promotion of personal knowledge and enhancement of performance level. Present at the meeting, Dr Mohammed Matar al Kaabi, Awqaf’s Chairman, joined a number of discussion panels, underlining the care given by the UAE wise leadership to the houses of Allah, both in construction and in status; attending to all the requirements of mosques. Such support, Dr al Kaabi said, is aimed at allowing mosques to assume the role they play in the community, being oases of faith, knowledge and guidance, as well as a means of social cohesion. 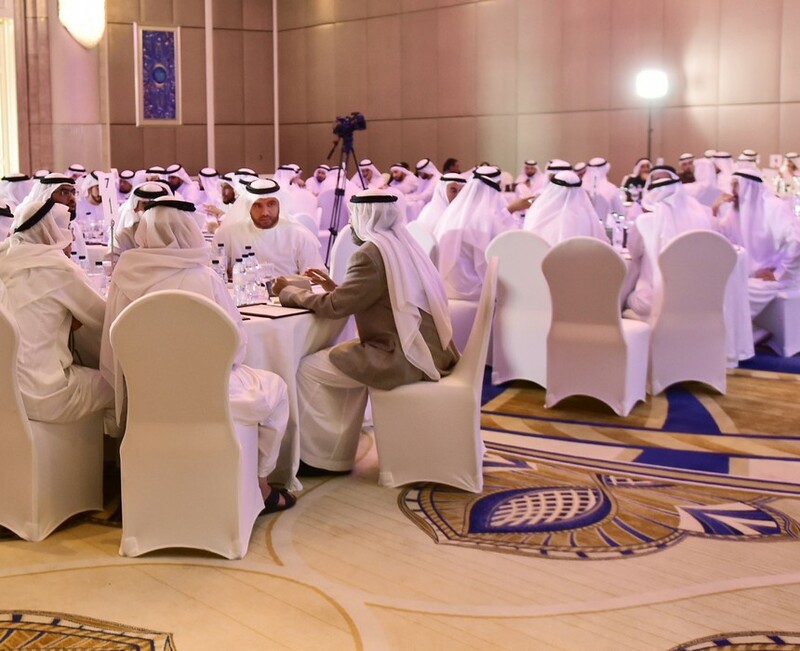 Dr al Kaabi further urged Imams, Khateebs and Muezzins to drive their performance up to excellence level in a manner that meets the aspirations of mosque goers and spread harmony, happiness and positivity in the community. Dr al Kaabi also underscored the need for Imams to interact with the initiative of HH Sheikh Khalifa bin Zayed Al Nahyan, the UAE President, may Allah protect him, announcing 2019 as the “Year of Tolerance”, by ensuring that mosques are made incubators of tolerance, acceptance of the other, and respect of the multicultural aspect of the society. Mosques should also highlight the civilised image of Islam, a religion that calls for harmony and peaceful co-existence and rejects discrimination and hatred, in addition to promoting our Arabic culture that is based on unity, cooperation and intercommunication with the other, Dr al Kaabi added. “Thus, this meeting is considered as one of the persistent indicators that Awqaf is keenly interested in holding, the aim being to make mosques beacons of spiritual, cultural and civilised values, as well as to elevate the efficiency and qualifications of Imams by offering them development workshops and courses that are conducive to bring out their talents and creativity, and hence help them set a role model for knowledge seeking and be the bright image that Awqaf takes pride of,” said Dr al Kaabi. Awqaf’s Chairman further called upon mosque Imams to make best use of their time by occupying themselves with reading, seeking knowledge, reflecting on the holy Quran, both in memorisation and interpretation. He urged them to arm themselves academically and intellectually so as to be able to interact with the contemporary changes and benefit from their positive aspects in their work, clarifying that keeping in pace with the developments and civilisation has become a key necessity for each human being to help them assume their roles in life more effectively and efficiently. During the meeting, a warm-up workshop on innovation and the role it plays in imparting happiness to the hearts of mosques goers was conducted. The workshop, which comes in the framework of the Emirates Government Services Excellence Programme, discussed a number of key factors that may contribute to the happiness of mosque goers. The factors included quality of services offered, such as continuous cleaning and maintenance of mosques, complete outfitting of mosques, development of mosques mission and the overall outlook of its staff as well as their good interaction with worshipers.